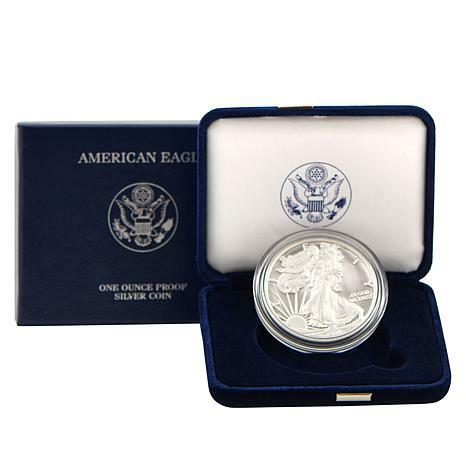 Bring home a flock of Silver Eagles, one majestic bird at a time. 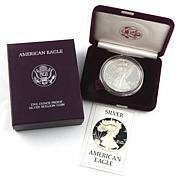 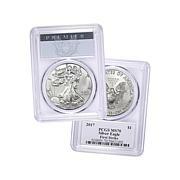 This handsome silver coin commemorates the 23rd year of the silver eagle series and features lovely Lady Liberty. 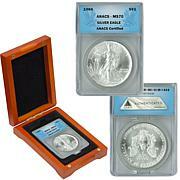 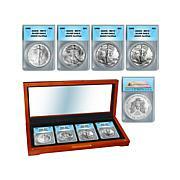 It's graded Proof and is ready to give, display or store in its original government packaging.